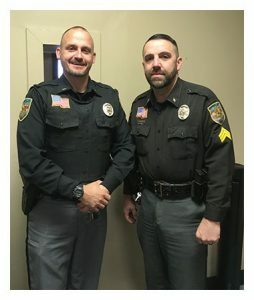 Why do your officers not have body cameras? Hello—I am Sheriff Robert Holland. It has been an honor and a privilege to serve as your sheriff for the past 16 years—and to have spent my career serving YOU for the past 27 years at YOUR Sheriff’s Office. It’s been personal to me. It’s been my passion. This is my home, and as many of you have done or are currently doing, it is where I am raising my family. Just as you, I want our community to be the safest community around and we strive daily to achieve that goal. We can be proud of the many ways that your Sheriff’s Office has been enhanced and improved under my leadership. Since beginning my career in law enforcement, I have been committed to making a positive difference in the community in which I live and serve. I have focused on partnering with the community and developing proactive initiatives while remaining tough on crime. While I have accomplished much as your sheriff, there is still work to be done. 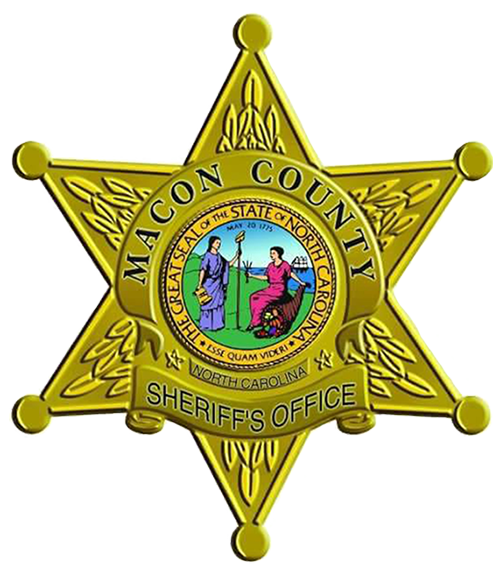 I, along with the dedicated men and women of the Macon County Sheriff’s Office, remain as committed as ever to keeping our community a great and safe place to live. Holding the office of Sheriff is a huge responsibility, one that I take very seriously. I am a seasoned law enforcement officer with a full understanding of the skills that are necessary to carry out the duties of this position. I have the knowledge and experience to keep YOUR Sheriff’s Office moving in the RIGHT direction. Thank you and I am respectfully asking for your vote in November or when the early voting process begins. 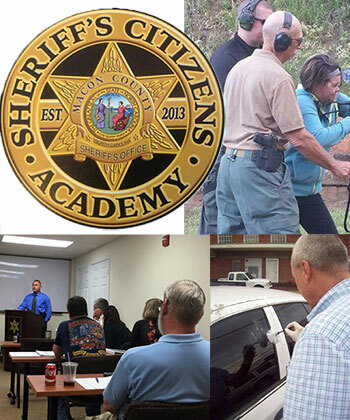 Sheriff’s Citizens Academy—Allows members of the community to participate in a 10-week program to learn the different aspects and functions of their Sheriff’s Office and to encourage greater community involvement in public safety. Safe Kids Macon County—This is a partnership between various organizations, including the Macon County Sheriff’s Office, that is geared toward improving the safety and well-being of children in Macon County. Safe Kids sponsors a yearly “Buckle Up Baby” event to demonstrate proper installation of child car seats. Community Watch Programs—MCSO supports and encourages neighborhoods who want to be proactive in helping protect their communities. Crime Stoppers—a telephone hotline dedicated to accepting tips from the public about crime. Completely anonymous, Crime Stoppers offers a cash reward to those who provide information which leads to an arrest or furthers an investigation. Church Security Program—Members of the Macon County Sheriff’s Office Investigations Unit specifically train and partner with churches to enhance security measures in their establishments. 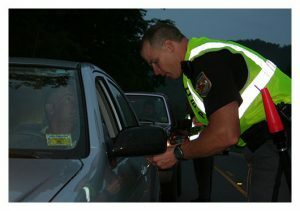 Operation Think Twice—For the past 10 years, this New Year’s Eve program offers a ride to anyone who has had too much to drink in an effort to improve safety on our roadways. This award-winning operation is currently the only law enforcement program of its kind in North Carolina. 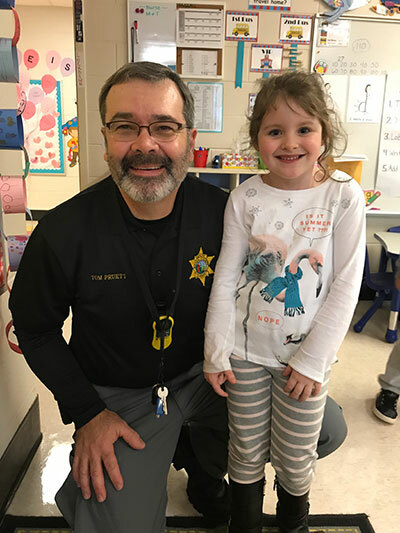 Project Lifesaver—A partnership program between the Macon County Sheriff’s Office and Macon County Senior Services that serves special needs children and disabled adults who are prone to wander. The program utilizes bracelets and radio transmission to enable tracking to bring these individuals home safely. This program is offered free of charge to any citizen in Macon County thanks to the support of local businesses and organizations. Operation Medicine Drop—This program was initiated in a partnership between the Macon County Sheriff’s Office and the Drug Enforcement Administration and is now a state-wide program. It was established to help combat the prescription pill epidemic. The program offers a pill drop box at the MCSO Annex, the Detention Center, and at specific civic events where citizens can drop off unused or unwanted medication. Prime for Life—An evidence-based motivational treatment program to address drug and alcohol abuse and decision making skills for life in general. 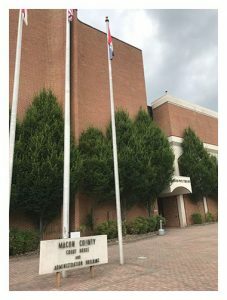 The program is offered in the Macon County Sheriff’s Office Detention Center in partnership with Appalachian Community Services. Participation in the Governor’s Highway Safety Program—Promotes highway safety awareness to reduce the number of traffic crashes and deaths in the state. 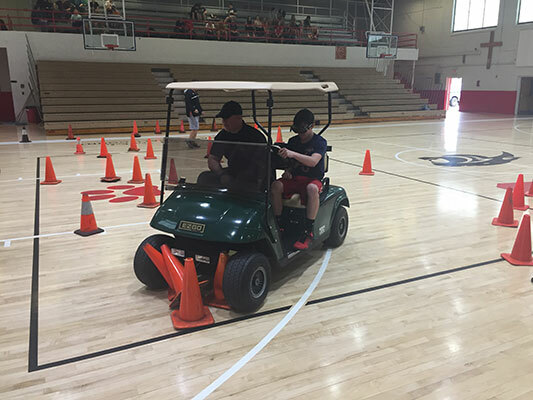 Through this program, the Macon County Sheriff’s Office has sponsored events such as anti-texting and DWI awareness presentations for high school students. Additionally, grant monies have been available through the program for equipment geared toward highway safety. Sheriff Holland has always made school safety a priority and has established many initiatives to protect our children. 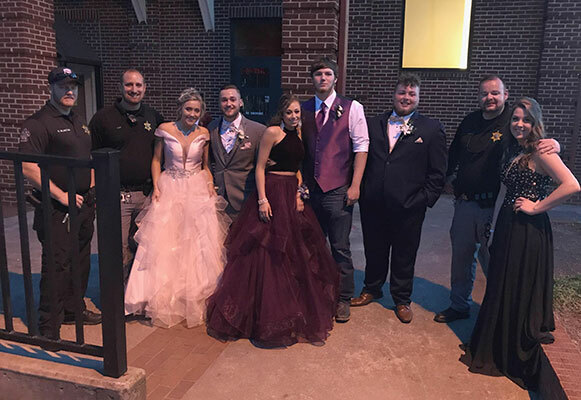 Macon County has a School Resource Officer assigned to each school in our district which Holland has accomplished by restructuring positions and through grant monies. Under Holland’s leadership, officers participate in the Active Shooter Response Training on a regular basis. Holland partners with Macon County Schools on a number of levels to enhance building safety, establish prevention programs for students and training programs for faculty and staff. On the state level, Holland currently serves as Chairman of the NC Center for Safer Schools Task Force. 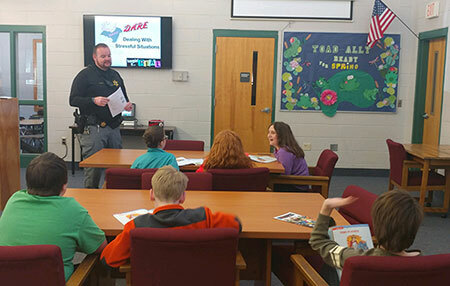 Since being elected, Sheriff Holland expanded the DARE program from one certified DARE Instructor to three and each are available to teach DARE in Macon County Schools at the request of school officials. 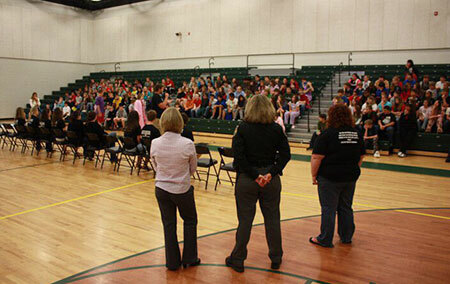 Drug education is a portion of the program offered during the weekly class presentations, but students also learn how they can deal with many issues. As we know, there are numerous areas of concern with growing up in today’s world—all of which can increase a student’s propensity to turn to drugs. 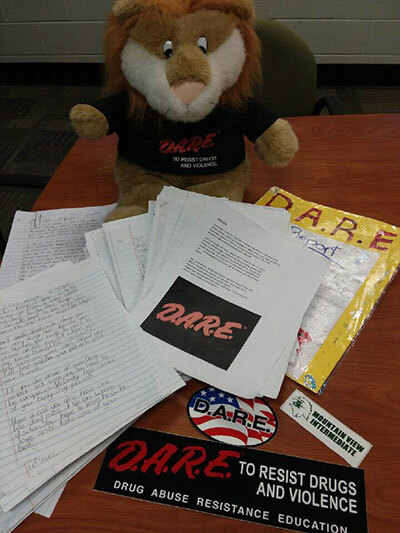 In the 2017/2018 school year, over 500 students graduated from the DARE program in Macon County. This successful program is the result of a partnership between the Sheriffs SRO’s and our local educators. When first elected as Sheriff, Holland organized the Macon County Sheriff’s Office Narcotics Unit in order to make a better effort at targeting drugs in OUR county. 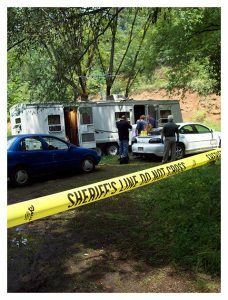 Prior to establishing this unit, narcotics officers participated in a task force that served all of western North Carolina and was active in each county for only a few months at a time. These efforts proved to be a positive change, as drug arrests increased dramatically. While Sheriff Holland created his own drug unit, the Sheriff’s office continues to work with agencies outside Macon County at the local, state, and federal level on a daily basis. This is because Sheriff Holland realizes criminals do not care about jurisdictional boundaries or where the county line begins or ends. Under Sheriff Holland’s leadership, communication and cooperation between the various units within the Sheriff’s Office and with other agencies have been improved. Meetings at shift change between supervisors have been established to keep lines of communication open for every shift. Command staff meetings also take place on a daily basis in an effort to be in a constant state of improvement. The number of officers on patrol for each shift has been increased and community-based patrolling has been established to deter crime. Sheriff Holland has established specialized units in an effort to provide more effective and efficient investigation of specific crimes. Property Crime Unit — investigation of breaking and entering, larceny, fraud, etc. The investigators within these three units now receive specialized training in their field of expertise. Through this approach, arrests have increased and better services to you, the citizens are available. Under Sheriff Holland’s leadership, a focus has been placed on the medical and mental health needs of inmates in an effort to reduce recidivism. Holland has established more in-service training for detention officers to keep them up to date on policies, procedures, and laws pertaining to incarceration. Building security has also been enhanced through the installation of more cameras and up to date equipment. Sheriff Holland has also assigned more detention officers per shift to provide adequate officer and inmate safety. Under Sheriff Holland’s leadership, our K9 program has been enhanced to allow the agency to be more proactive in the fight against drugs. The K9 Unit went from one K9 assigned to the Patrol Unit to four and we are looking to expand that number even higher. This has been financially accomplished through the support of local businesses and organizations. 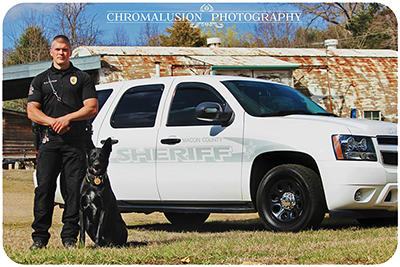 Our K9’s are trained in-house and each of them receives their certification through a nationally recognized organization instead of through a private vendor as previously done. This allows the tax dollars saved to be utilized in other needed areas or advancement of the unit. Since 2013, $65,900 have been seized in drug investigations and over $302,000 in street value of narcotics have been confiscated. At the conclusion of court proceedings, this money goes directly to the county to be used for future investigations. In addition over 3,000 seizures of drug paraphernalia have been accomplished through the utilization of our highly trained K-9 units. Sheriff Holland established a more advanced Courthouse Security and Civil Process Unit in an effort for it to be more professional and as its own specialized unit. Sheriff Holland felt this was important to have the Unit formed in this manner since it deals with such a wide variety of our county’s citizenry. This would keep the MCSO from only having officers assigned as bailiffs who may not be adequately trained or equipped to handle the needs of the citizens or for the staff working within the various agencies inside the courthouse or courtroom settings. This specialized unit takes care of the daily business as it relates to the multiple courts in session as well as delivery of all civil documents and subpoenas. From Civil Court proceedings to Superior Court trials the halls can be filled and ensure a safe environment for the public, the employees within the courthouse, and for court officials is a top priority. For the last year, a group of dedicated public servants from various agencies within the courthouse has been convening to discuss ways to make the courthouse an even safer location in which to conduct business. Under the direction of Superior Court Judge Bill Coward and Sheriff Holland, the County Manager and Commissioners have conducted numerous meetings to give input about any security concerns. Moving forward, this group will explore ways to enhance safety even further at the least possible expense to taxpayers. Sheriff Holland has always made efforts to keep the public informed and has practiced transparency. Sheriff Holland has always made efforts to keep the public informed and has practiced transparency. He has always held himself accountable and has made himself available to the citizens he serves. This philosophy has also applied to his budget requests. Each budget request Sheriff Holland presents to the County Manager and Commissioners is a line by line budget with detailed narratives and information on how and why the request will benefit our county. Sheriff Holland has focused on building a PROFESSIONAL, WELL-TRAINED, AND ADEQUATELY EQUIPPED agency. He has established more specialized units within the Sheriff’s Office and strategies to increase efficiency. He has developed the Standard Operating Procedure and the Field Training Officer program for all newly hired officers. He makes it a priority to update all safety equipment for officers and has secured grant money to purchase needed equipment, as well as making budget requests for commissioners to adequately fund necessary equipment. Sheriff Holland is the most knowledgeable, experienced, and professional candidate for the position. Sheriff Holland has accomplished much throughout his tenure as your Sheriff, but there is still work to be done. He stands prepared to continue leading the charge and is as committed as ever to making a difference in the community he loves and serves. Sheriff Holland is the most knowledgeable, experienced, and professional candidate for the position. He has served as Sheriff with honor and integrity for the past 16 years and he looks forward to continuing to serve you while keeping Macon County a great and safe place to live. Please vote to Re-elect Sheriff Holland on November 6 or when early voting begins and keep your Sheriff’s Office moving in the RIGHT direction!